The Addnature 2014 calendar has been out for about a week now and I’m very pleased with the result. The calendar contains climbing photos from near and far, to inspire your climbing in 2014. There are also a bunch of Addnature events printed in the calendar, to remind you what’s going on in 2014. 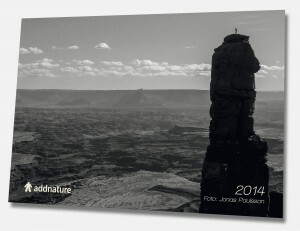 The calendar can be bought from addnature.com at three different prices. By making a purchase you will donate money to The Swedish Climbing Federation’s Access Fund, so I hope that all you climbers out there are willing to contribute. It’s a great Christmas gift you know.